Haven’t been scuba diving lately and want a quick refresher? The PADI ReActivateTM program is the perfect way to update your dive skills and knowledge before jumping back into the water. You conveniently review scuba concepts your tablet, mobile device or computer, then go diving with a PADI Professional. It is quick and easy. It is a good way to prepare for your next PADI course or get ready for a diving vacation. 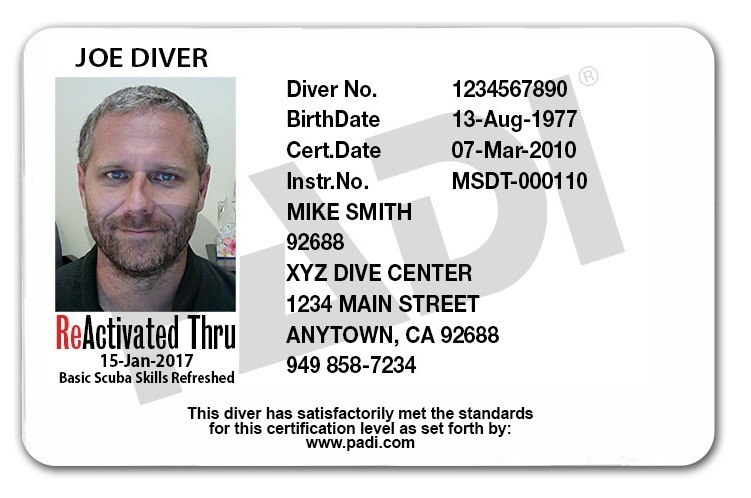 The best part is, for divers who complete both the knowledge and in-water skill refresher receive a replacement certification card with a ReActivated date on it. Helps you review the fundamental scuba knowledge you may have forgotten since your last dive. Your PADI Instructor will work with you to get you acclimated with gear set up and skills you’ll work on prior to jumping back into the water. You and your instructor select the skills you need to review. 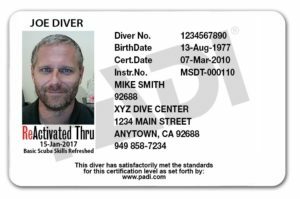 Not a PADI Certified diver? No problem- sign up for Scuba Tune-up.